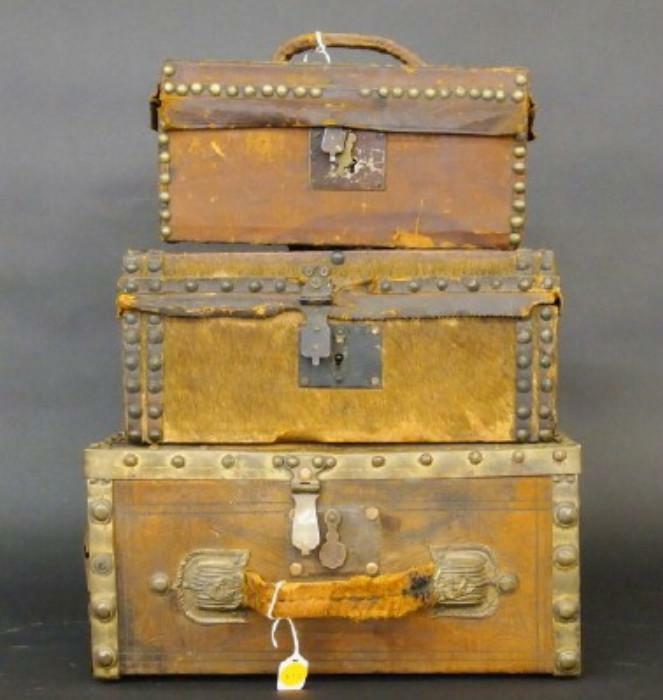 For those who collect antique and vintage trunks both large and small. We hope to answer some of the many questions that you may have about origin, location, maker or manufacturer and value of your trunk. Started by Adam Gagnon Sep 18, 2017. Started by Danielle Woodson. Last reply by Linda L.Baker Mar 19, 2017. Started by Donna Sullivan. Last reply by Craig Phillips / B & C Emporium Jan 13, 2015. Started by Amy Beery. Last reply by Craig Phillips / B & C Emporium May 9, 2014. Started by Preston Edwards. Last reply by Preston Edwards Sep 4, 2013. Started by Kim Sechrist. Last reply by kathy park Feb 25, 2013. Started by Jayski. Last reply by kathy park Feb 5, 2013. Started by kathy park Feb 5, 2013. Started by Jayski. Last reply by Jayski Dec 27, 2012. Started by kate lalor Apr 19, 2012. Started by Hugo Lala. Last reply by rescuelifeproducts Dec 23, 2011. Started by Monica. Last reply by Jodys Dusty Attic Aug 15, 2011. Started by rescuelifeproducts. Last reply by Jodys Dusty Attic Aug 15, 2011. VINTAGE MINIATURE CEDAR LANE CHEST FROM N.B. LIEBMAN FURNITURE MECHANICSBURG,PA. Started by Blue Crab Vintage Jul 22, 2011. Austrian Steamer Trunk: What's its history? How much is it worth? and how much should I sell it for? Started by Eric Rea Jan 18, 2011. Started by Oralei. Last reply by Craig Phillips / B & C Emporium Jun 20, 2009. You need to be a member of Antique and Vintage Trunks to add comments! and we also provide information about how to properly attach them to your project. Choose from the types of parts below, or click here for 'how-to' info. USA shipping is always included in our prices. Minimum order size to receive free shipping is $5.00! and often we can include AK, HI, PR, and GU in this as well. Craig, thanks for adding great hardware photos. Hi all! I found a toy/doll trunk (what some call a salesman's sample). It's tin covered wood .since it was extremely rusty I removed the metal and discovered the top is 3 ply plywood! Out of the 20 or so trunks that I've worked on this is the first to have plywood.I'm guessing they used it for strength... Any ideas??? And of course the plywood is a different color than the rest making this an interesting stain project!! Dutch colonial storage trunk made of solid jackfruit with ebony details. The trunk is made of solid single planks of wood. Base has ebony inlay details and ebony trim. Two drawers in bottom frieze with ebony inlay and brass handles. Base sits on turned legs.